A blog offers iPhone tips, tricks and guide to make your iPhone work better for you! iOS 10 is available to download for all supported device, including iPhone 5/5s/5c/6/6s/SE/7, iPad Pro, iPad Air/Air 2, iPad 4, iPad mini 2/3/4, and iPod touch 6. After downloading and installing this new iOS operating software on iPhone, you can easily find new features on Settings > Phone. It is about the Announce Calls, which gives all car drivers and sporters some new and better experience – Siri will automatically announce you who is calling you when you are driving or using a headphone on the way. Step 2. Tap Announce Calls. Step 3. There are four choices. If you want Siri tells you who is calling you when driving and using headphone, just select “Headphones & Car”. 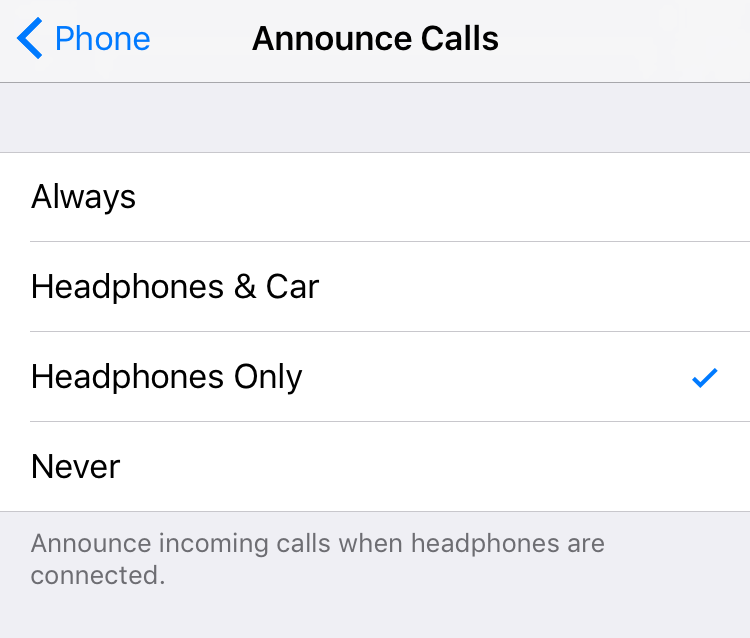 Or you can select “Headphones Only”, which allows the Siri to announce the incoming calling only when you using headphone. Apple released a small iOS update – iOS 9.3.2, aim to fix some iOS 9.3.1 problems that impacted iOS users. However, it also bring a serious bug to iPad Pro 9.7’’ users. It bricked some iPad Pro 9.7. And when connecting bricked device to iTunes and going to restore device from backup, it would pop up error 56, which according to Apple official website, is a hardware issue. So if you have one 9.7 inch iPad Pro, wait for some days until the bug be fixed. And if you are one of affected users, you can contact Apple Support for help, but actually you can do nothing untill Apple throw its solution, which may be in a new iOS 9.3.2 update or recent iOS 9.3.3. Should I Update to iOS 9.3.2? If you are running iOS 9 and later, and not a iPad Pro 9.7 user, you can update this new iOS software update, which could make your device more safe, although you might meet some new update problem, such as Safari crash or iTunes won’t sync. 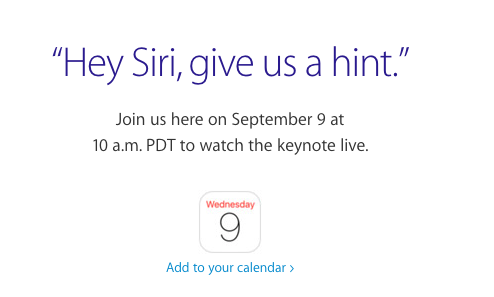 Apple will be announcing its latest iPhone 6s and iPhone 6s Plus, as well as Apple TV,on September 9 at 10am PDT. And the time would be different according to your time zone. 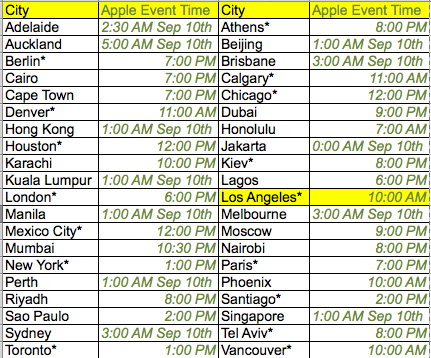 Below we lists the local time for your city when Apple start its 2015 Apple Event. The Live Show is specially for Apple users, you can visit Apple.com/live by using safari on your iOS devices and Mac, such iPhone, iPad or iPod touch etc. Or watch it on your Apple TV by finding it on “Apple Events” channel. If you are using Windows, just wait replay after the event over. Apple released iOS 9, the newest version of its mobile devices’ operating system. The most attractive features of this iOS would be MultiTasking that enables you use two apps at the same time, and battery Saving-Mode. And also some hidden features are provided such as Safari Ads Blocking. But although these features are good, they are not something creative. Well, new iOS 9 make a good improve to add some other item when you receiving an unknown call. 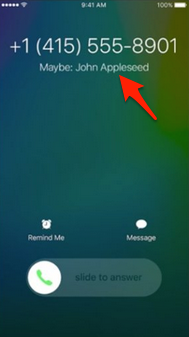 Each time you receive a call from your contacts, iPhone will show the name of the person calling you. And now, it is possible that Apple will show you the name of the unknown calling person which is not listed in your contact just like the screenshot below, which is a little interesting and useful sometimes. 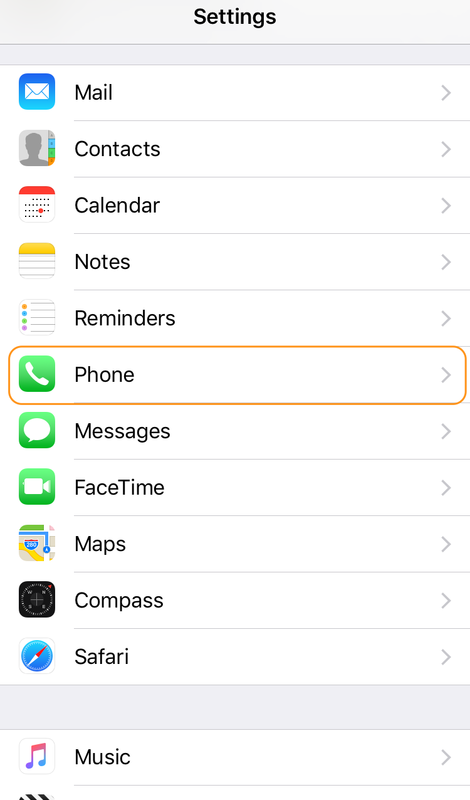 This interesting iOS 9 feature comes from an analysis of the contacts you have stored in your emails. And we don’t know whether it is safe about this feature that Apple accesses our email content without our permission. In addition, this feature is useless if there is no info about the secret coming number in your Email app. Some of you may be suggested to update to new iOS 8.4 in these days. And of course, you may wonder whether it is worth installing iOS 8.4 to iPhone, iPad or iPod touch. So in this post, we collected some tips on this topic for you to decide whether to do some changes on your iOS devices before the new iOS 9 release – Reasons update to/not to iOS 8.4. New iOS always bring new bugs. So we’d better not install iOS 8.4 before we know it completely. Just wait for some days ! Now, after updating to iOS 8.4, most of you can use Home Sharing for Videos. However, the Home Share for Audio/Songs/Music is only available for Apple TV users. Many Apple users said they can’t sync iTunes music or playlists to their device after updating their iPhone, iPad, iPod touch to iOS 8.4. You May Like: how to solve iTunes can’t sync problem. After updating to iOS 8.4, some users can’t send photos or video to their contacts via iMessages, MMS, or Skype, WhatsApp. Apple showed its new iOS 8.4 for all iPhone, iPad, iPod touch users on Tuesday. And in this new iOS 8.4, as it said, it improved and redesigned its Music and iBook apps. Additionally, it fixed some bugs and issues of old iOS. And the new features may be the reasons why you should install this new iOS to your device. The iOS 8.4 added Apple Music Streaming Service in Music app. Different from iTunes Music, you can enjoy almost all music by paying 9.99$ per month instead of paying for tracks. Now amazing is that you will have 3-Month Free Trial before you pay after you updating your iPhone,iPad,iPod to iOS 8.4 and being a new Apple Music Member. The “Connect” feature makes you access your loved artists’ recently activities, provides you thoughts, photos, music & videos of them. And you can even join the conversation with the shared things. Audiobook feature in Music App now is transferred to iBook. iOS 8.4 fixed bugs about GPS, Apple Watch App Reinstall Problem etc. Welcome your comments about iOS 8.4, No matter iOS 8.4 problems or new features testing results. And thanks for viewing ! iOS 8.1.3 is now available for Apple iOS devices users. After a few weeks waiting, Apple has decided to launch this new OS update iPhone, iPad and iPod Touch to correct some problems and errors that had been detected in previous versions. The new version of iOS is available both through iTunes and update OTA (Over the Air) and as always, it is advisable to do a full backup of the device before performing the update if there are any problems during installation. Reducing the amount of storage space required to install a software update. 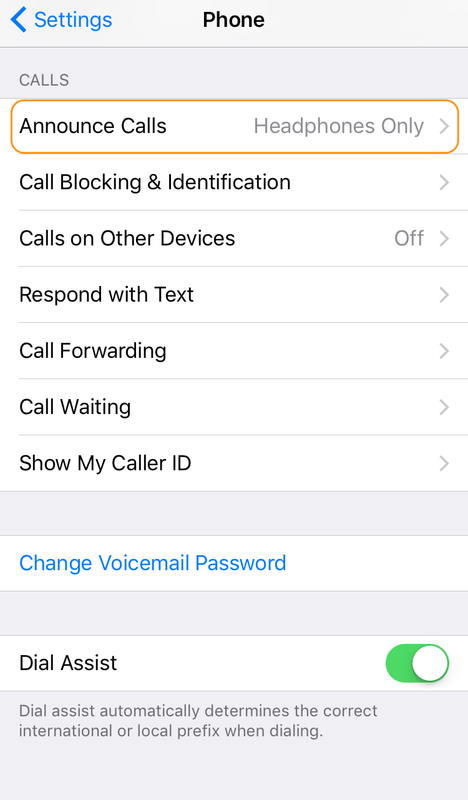 Solving a problem that prevented some users enter the password for your Apple ID to use Messages and FaceTime. Fixes an issue in which the application search results do not show in Spotlight. Solving a problem that caused multitasking gestures will not work on the iPad. New configuration options for standardized tests in the education sector. Which iOS Devices Models Can Be Updated to iOS 8.1.3 ? It is possible that in the next few hours it a bit difficult to install. There are millions of devices running will surely be trying to access Apple’s servers to download iOS 8.1.3, so if slow to download not despair and have a little patience. At the end you will come and enjoy all the latest news. Nothing is impossible to know whether this update will have some error. It is customary for small problems when Apple releases a new version arise, but until they pass a few hours and users start using it we will not know this. It is also soon to know if this new version cover any failure of security used by the Jailbreak, so if a member of it maybe you should wait for the hacker community review and give him the nod. How to Update to a New iOS? There are some tips about how to update to new iOS 8, which may be useful to you: How to install iOS 8 over the Air or Via iTunes, What to do after update. Christian Today predicts that Apple will officially unveil the new iPod in March during the Mobile World Congress 2015 in Barcelona, ​​Spain. Master Herald says it is likely to launch coincides with the unveiling of Apple Watch and the new operating system, which could be an upgrade to the new iOS: iOS 8 or 9. Apple could have launched a new 6th generation iPod Touch in 2014, mentions Master Herald, but did not because I really wanted to show a “perfect music device” definitely excel over their predecessors. The current iPod Touch 5th generation was unveiled in September 2012. So it is expected that the new iPod Touch will be released this year have major improvements and new features. The new 6th generation iPod Touch supposedly have two sizes, as with the iPhone 6 and iPhone 6 Plus. Master Herald says the device will have a version of 5.5 “and a variant of 4.7”. Christian Today said the new iPod will probably A8 processor, although there are those who say they will probably have an A9 processor. Moreover, the source said probably has the new mobile payment system, Apple Pay. As for colors, it is expected that the new iPod has the same colors as his predecessor. These are spatial, yellow, blue, red, pink and silver. Although it is likely that includes one gold or white when it arrives. How is the iPhone 6? It has been noted that the characteristics of 6th-generation iPod Touch are very similar to the iPhone 6. If this happens, there is a probability that iPod sales down because more people will definitely choose a more powerful and capable device like the iPhone 6 . Pricewise, Master Herald think will be $ 250 for 6th Generation iPod Touch 16GB.Meanwhile, the price of the 64GB version would be $ 300 and the 128GB of over $ 250.Regarding competition, the iPod is cheaper than the Sony Walkman ZX2, which cost $ 1,200, according to the price announced at the Consumer Electronics Show in Las Vegas in January.